This is an easy blanket pattern which works up rapidly and will be perfect for the summer. It’s an intriguing pattern but at the same time very easy to memorize and repeat quickly. You can make it in any colors you want, but a solid one also looks pretty. Don’t forget to share your work in our Facebook Group. The link to the pattern is below. Enjoy! 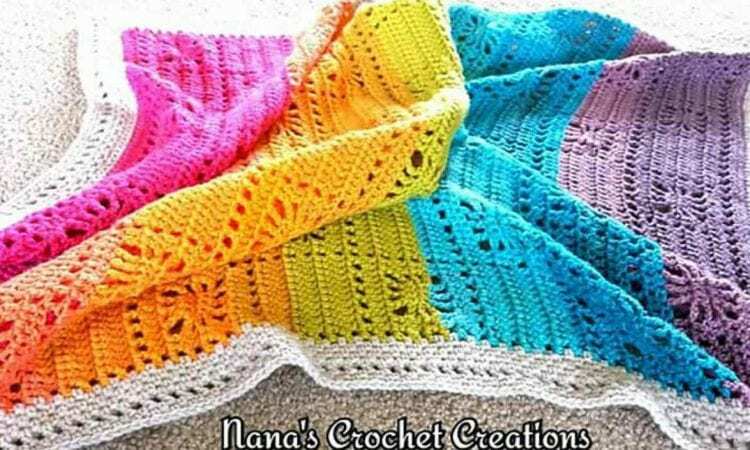 Nana’s Spiders Squared Blanket – visit the free pattern site. See also more yarn details on Ravelry.